This is my old post from my travel blog, decided to move bit by bit. and i really want to share with you guys, this unique apartment. owned by Cindy Hsu, a lovely land lady and communicate well in english. in a really unique way. not only leopard apartment, she also owned zebra apartment. wonder why the apartment named as leopard and zebra?? from kitchen, wallpaper, bed sheet, even the pillow sheet. and i stayed at the leopard apartment. 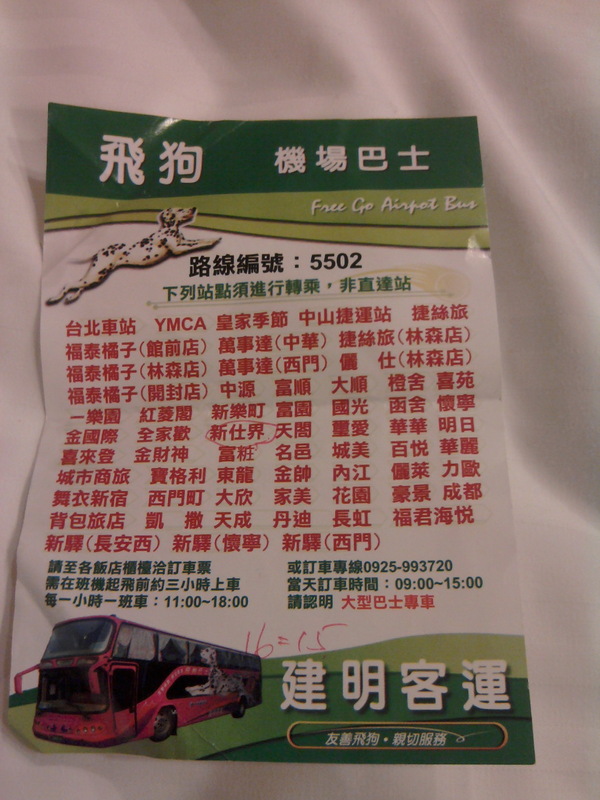 4. if you can't speak mandarin or read chinese character, just show this bus list to bus officer. hope you had fun experience like i did in those lovely leopard apartment. and your stuff in the room, but it's worth to try.